Atmospheric Dynamics Mission (ADM) Aeolus spacecraft was launched in August 2018. Image: © ESA–ATG Medialab. The satellite is fixed with ALADIN Doppler wind lidar. Image: courtesy of Airbus Defence & Space. The satellite’s launch operations were managed by Arianespace. Image: courtesy of ESA–Nadia Imbert-Vier. 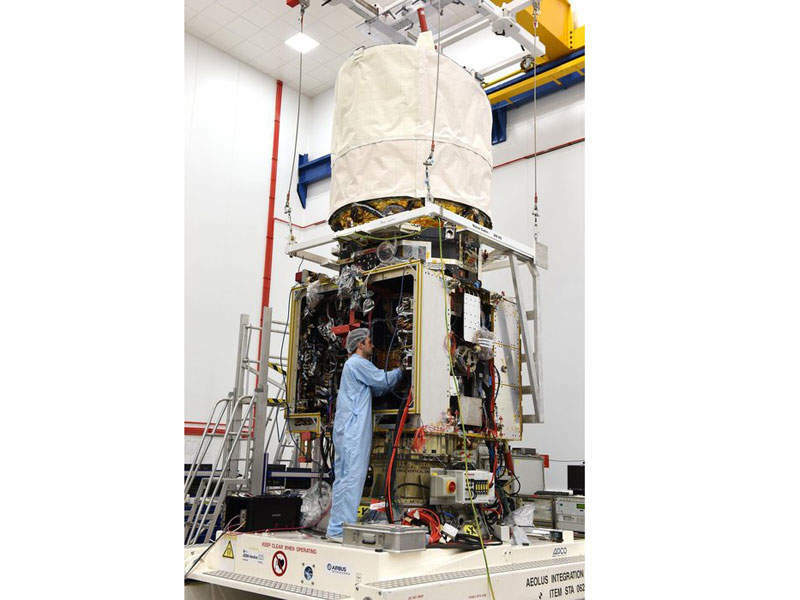 The Atmospheric Dynamics Mission (ADM) Aeolus satellite provides global observations of three-dimensional wind fields to improve weather forecasting. The satellite is operated by the European Space Agency (ESA). ADM-Aeolus was launched into the sun-synchronous dawn / dusk orbit located at an altitude of 408km in August 2018. It is developed under Earth Explorer Core mission as part of the ESA’s living planet programme. 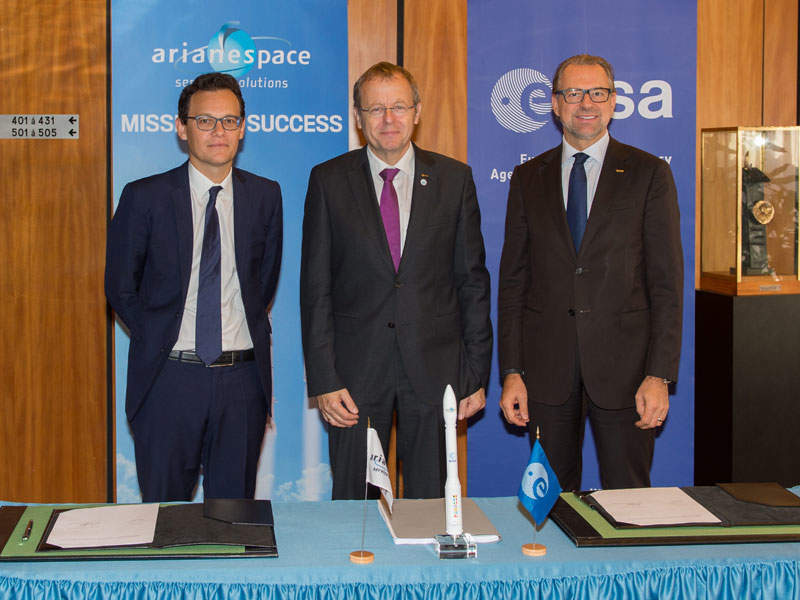 Airbus Defence and Space (formerly known as EADS Astrium) was selected as the prime contractor to provide design, construction and testing services for the ADM-Aeolus satellite. The satellite was developed at the Airbus Defence and Space facility located in Stevenage, UK. The spacecraft has a launch mass of 1,360kg and features cubic platform and cylindrical instrument structure. It has a length of 1.9m, a width of 2.0m and a height of 4.6m. It has three-axis stabilisation of Attitude and Orbit Control Subsystem (AOCS). The spacecraft includes solar arrays, which can generate up to 2,200W of power that is stored in 84Ah Li-ion batteries. The spacecraft has a three-year mission life. The satellite is fixed with a single payload called Atmospheric Laser Doppler Instrument (ALADIN), which includes two powerful lasers, a large telescope, and very sensitive receivers. The laser generates ultraviolet light that beams it towards Earth, and subsequently the fraction of light is scattered back towards the satellite, which is gathered by ALADIN’s telescope and measured. ADM-Aeolus is designed to explore and measure 120 wind profiles an hour and provide profiles of the wind on a global scale, along with information on aerosols and clouds. 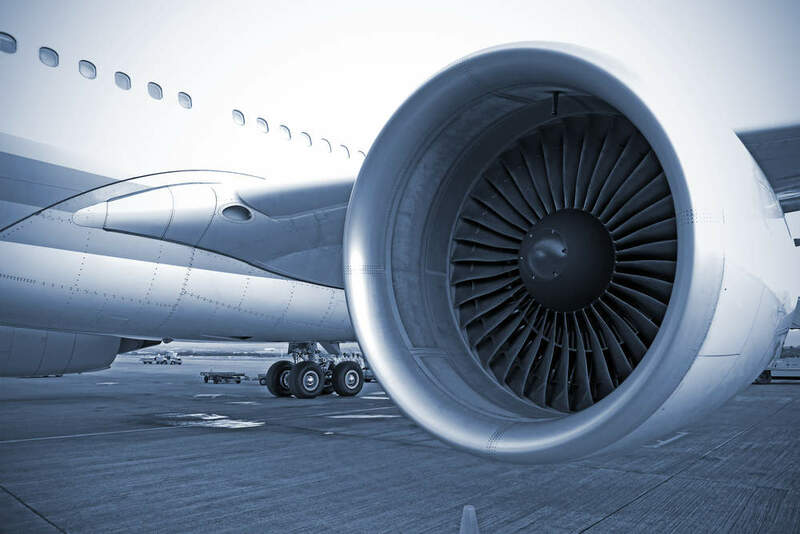 It can measure wind to an accuracy of 1m/s in the planetary boundary layer up to an altitude of 30km. It also offers knowledge of atmospheric dynamics, which helps in the advancement of climate research. The data provided by the spacecraft is assimilated in numerical forecasting models, which enhances the quality of operational short and medium-range predictions. The objective of the mission is to provide global observations of wind profiles with a vertical resolution that meets the accuracy requirements of the World Meteorological Organisation (WMO). Arianespace was contracted to provide launch services for the ADM-Aeolus satellite in September 2016. The satellite was launched a top the Vega light launch vehicle, which can carry satellites ranging between 300kg and 1,500kg in Earth observation missions to polar and low Earth orbits. The rocket placed the satellite in its orbit after a four-stage launch. The launch was carried out at the Guiana Space Centre located in Europe’s spaceport in Kourou, French Guiana. 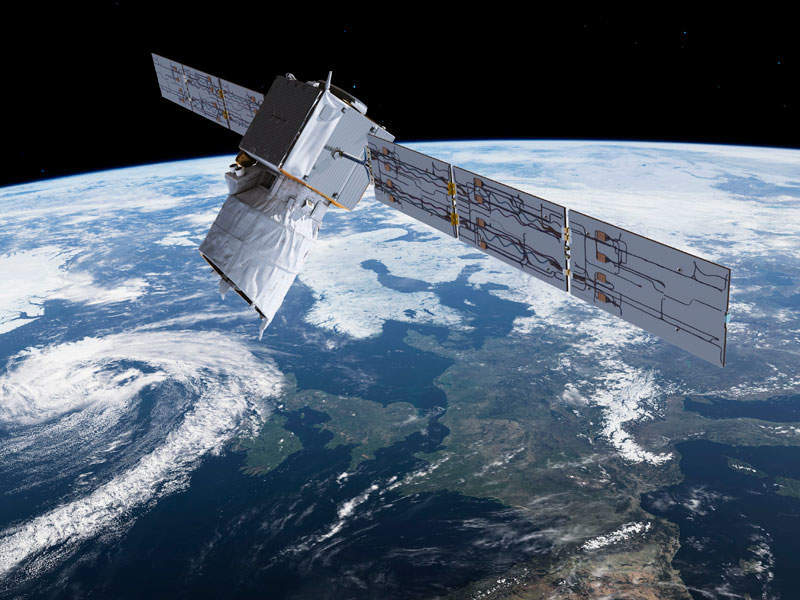 The data collected from the ADM-Aeolus satellite is sent to SvalSat receiving station located in Norway, which is then processed into wind profiles and the meteorological offices use it in weather forecasting. The satellite is being operated by the European Space Operations Centre located in Germany. The European space research institute situated in Italy performs data processing, while the wind profile retrieval is carried out by the European Centre for Medium-Range Weather Forecasts (ECMWF) in the UK.